The nightlife of Montenegro mainly lives during the summer, where most open bar’s and cafes open and the climate is the best. This is mainly the case with the more popular coastal cities that are able to welcome large numbers of tourists. Many of the local youths also have their summer holidays and return from Podgorica where they spend most of the year for their studies. Because of this and the fact that Podgorica is the capital, the nightlife in Podgorica is not as seasonal as the cities on the coast. In the other more northern and mountainous cities the nightlife is small. Podgorica has one of the best nightlife in this part of the Europe. Exquisite cafés, some of which are thematically made, enrich the tourist life of Podgorica in the greatest possible measure. There are dozens of cafés in pedestrian Njegoševa street in city center, and many more scattered around the city center. Most of the new and trendy cafés are located around Vectra district in the new part of the city. Modern design and relaxed atmosphere of the cafés coupled with Podgorica’s art of making espresso will make an interesting experience. Some of the well known cafés are Alpe Bar, Buddha Bar, Carine, Greenwich, Grand Café, Café, Café, Switch Café and Soul II Soul. There is a number of clubs and bars to go out to in Podgorica. In the summer, there are many open-air bars and clubs. However, by law, open air bars must turn the music off at 1 am, when the crowds move to the clubs located mostly in the basements in the city center. Clubs are most crowded from 11 pm until 2 am on the Friday and Saturday nights, but some of them are full throughout the week. It is important to determine weather a club plays worldwide popular dance hits the entire night, or does the playlist include folk music from ex-Yugoslav countries, which is often the case. The latter could be difficult for a foreigner to enjoy, so asking around before going out for the night might be a good option. Switch Café is a club in the city center, just five minutes walk from the main Republic Square in Podgorica, near the Millennium bridge. It plays mostly foreign pop/electronic/rock music, and there are interesting music programs almost every night. Tantra is a club around a 15-minute walk (or short taxi ride) from the center. It plays dance music and is generally busy throughout the week. Drink prices are not too expensive and there is a good atmosphere. 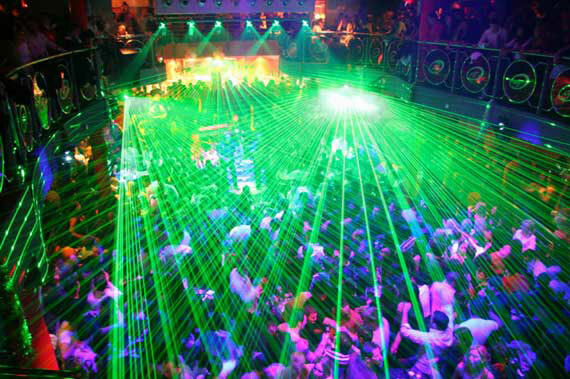 Nightlife in Kotor mainly revolves round the night clubs, bars and the discos which the city of Kotor has to offer. The city of Kotor offers a good number of bars in the old town of Kotor. All these night joints are located on streets and squares surrounding the city. Nightlife in Kotor generally leads its way to some of the open bars within the walls of the old town. Since these open bars are not allowed to play music after 1.00 am, the action is shifted to some of the night clubs of the city. 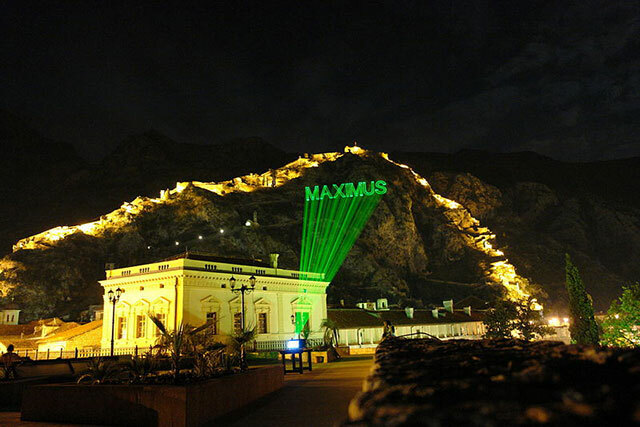 Maximus is supposed to be the best address for holding all types of nightlife activities in the town. The discotheque provides an excellent opportunity to indulge in all the nocturnal delights like dancing, singing, drinking and eating. The club remains open till 4.00 am and provides ultimate entertainment to the visitors. A large number of foreigners take refuge in the discotheques at night and appreciate the variety of musical performances, including the national and local music. During the summer months Budva is the unequivocal nightlife capital not only of Montenegro, but pretty much the entire region between Belgrade and Athens. During this time it’s no exaggeration to say that the party never really ends, as the vast majority of the people in town are here on holiday and drinking at a restaurant during lunch or at the beach during the day is just short of being mandatory. Once the sun goes down, the nightlife action more or less falls into three categories: traditional bars and pubs, open-air bars and everything else. The old town establishments, most of which soldier on throughout the year, are bit more low key than elsewhere, while the seasonal open-air bars and clubs near the marina and along the waterfront are where things get can get really crazy. Then of course there are the traditional clubs as Trocadero nearer the city center, and last but definitely not least the absurdly large Top Hill that is truly in a class of its own. Herceg-Novi is very popular among those in pursuit of nightlife. This resort, loved by artists for its unique atmosphere and peace during the winter, wakes up in the summer, as numerous bars and clubs become open.